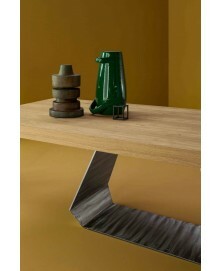 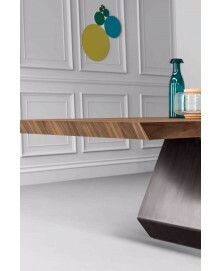 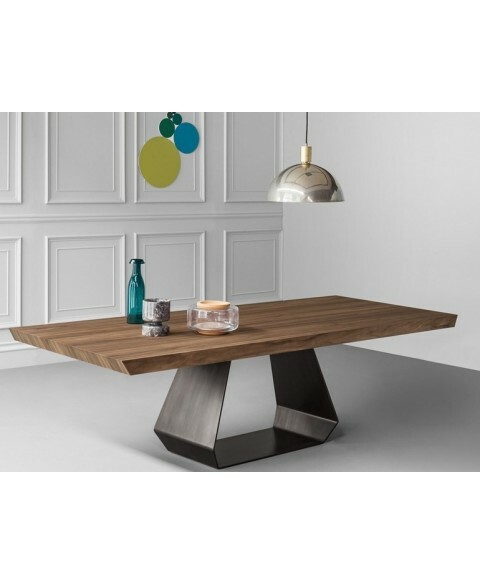 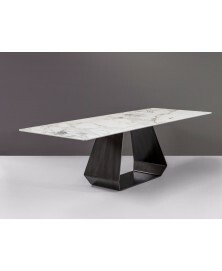 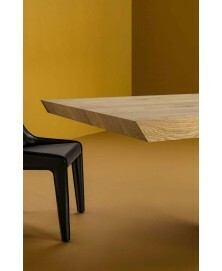 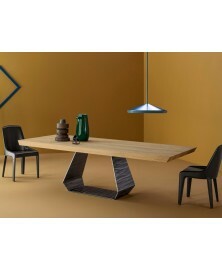 Amond Table Bonaldo available in 14 different finishings. Discover our best price. 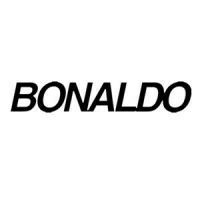 Amond Table Bonaldo designed by Gino Carollo for Bonaldo is a dining table composed by a diamond-shape base and a thick top. 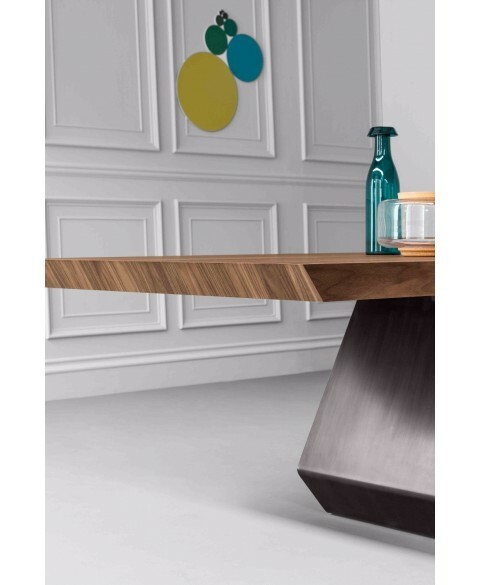 This evident contrast between base and top creates an interesting effect able to give a touch of classy to an environment, indeed the top seems to be suspended in the air without losing harmony and balance. 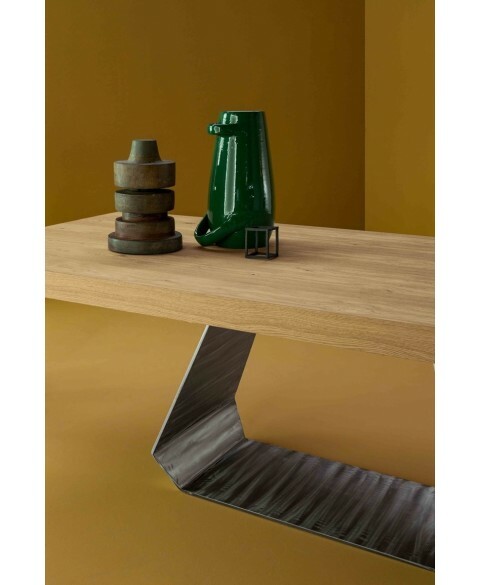 The base can be in metal, painted in a variety of shades or with copper, brass or pickled finish instead the top is available in wood, glass or ceramic.